New Zealand’s major short film festival, Show Me Shorts, will attend the Berlin International Film Festival (Berlinale) and the International Short Film Festival in Clermont-Ferrand this February. Festival Director Gina Dellabarca will attend the Berlinale as a guest of the German Foreign Office, who have sponsored her travel and accommodation. They have also devised an extensive programme of events, tours, meetings and screenings throughout the festival. This A-list festival is one of the highlights of the international film festival calendar, where many high profile feature and short films make their world premiere. 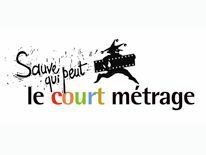 While in Europe, Dellabarca will also attend the Clermont-Ferrand Festival in France, the largest short film festival in the world. Dellabarca will happily tell filmmakers attending the market how to submit their shorts for New Zealand’s only Academy Awards® qualifying festival. In December 2012, Show Me Shorts announced the festival had been granted Oscar® accreditation. The first short film to qualify for entry to the Academy Awards® is 2012 Best Film winner ‘Night Shift’ by Zia Mandviwalla, which will be submitted in 2014. The 8th annual Show Me Shorts Film Festival takes place in New Zealand cinemas nationwide during November 2013. Entries for Show Me Shorts 2013 open in March.